Elevate Packaging is the leading provider of compostable adhesive labels and flexible packaging. Our exclusive PURE Labels™ are the first and only certified compostable label in North America. 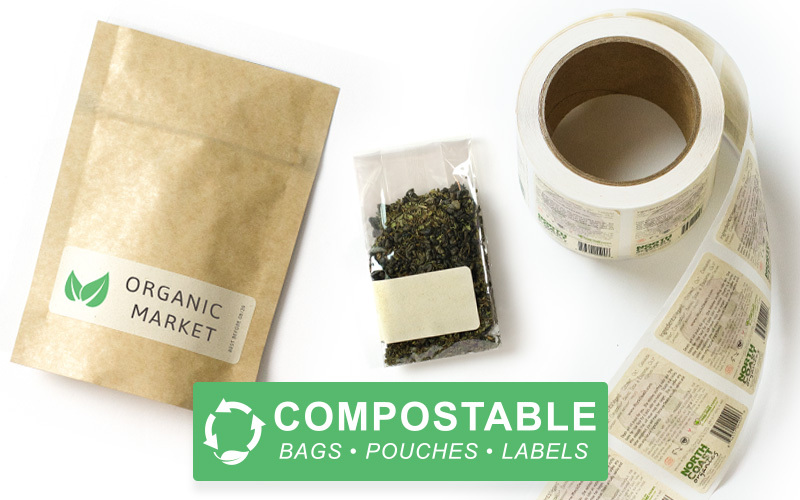 With our bags, pouches, and labels, we offer a complete one-stop compostable packaging solution for sustainable businesses. Serving industries such as natural food, institutional food service, coffee, tea, cannabis, apparel, body care, and more, Elevate Packaging offers high quality compostable packaging solutions with excellent performance that will help your business eliminate landfill waste and build reputable eco brand value.